Exercise during pregnancy, part II! There are many (often contradicting) opinions on how & when to exercise while expecting. On Thursday, 5/16, Kinected & FITiST will host a panel of industry experts including a nutritionist, an MD, a Pilates instructor & more to help you sort through the options & get exercise savvy — no matter how big your bump. Join us for a prenatal mat class from 10-11am ($18) with pre & postnatal Pilates master Stephanie Lang Bittner, and stay for the roundtable discussion from 11am-12pm (FREE!). As an Ob/Gyn and woman who exercised during her pregnancy, I am asked all the time about exercise and pregnancy. I always start by saying that you must always get “clearance” from your personal doctor that it is safe for you to exercise during your pregnancy. There are certain medical and pregnancy related complications that might make exercise dangerous during pregnancy; but these conditions are fortunately rare. With that said, exercise is safe and encouraged by the American Congress of Obstetrics and Gynecology (ACOG) throughout pregnancy. As a general guideline, I advise women to avoid exercise or sports that have a high risk of impact or injury. In the first trimester, impact is not so relevant because the pregnancy is still very small and protected by the uterus, but you do want to avoid the need for radiographic imaging (x-rays and CT scans) if severe injury. In the second trimester and beyond, direct trauma to the abdomen can compromise the pregnancy. Otherwise, most sports and exercise are physically safe. In the first trimester, very elevated core body temperatures can be harmful to the developing baby, so I do discourage “hot” yoga and encourage women to avoid exercise in extreme heat and of course stay well hydrated during and after exercise. Sweating is a normal response to increased body temperature and is not dangerous. But again, be sure to hydrate well after exercise. People always ask about heart rate guidelines. Formerly, ACOG recommended women keep their heart rate below 140 bpm but this recommendation is no longer endorsed. There are no hard and fast heart rate recommendations because there is no clear data to support a true cutoff. Furthermore, a woman’s pre-pregnancy cardiovascular conditioning will affect her pregnancy state. Therefore, a competitive athlete or long distance runner pre-pregnancy will be able to accommodate a higher heart rate while pregnant compared to most women. I usually counsel women to “go by how you feel” when exercising. If you feel you are pushing too hard (feeling very winded and your heart is racing) then scale back the exercise. If you can push a little harder and it feels good, then do so. The body is smart. It will tell you how it feels. During pregnancy, the body cannot tolerate low blood sugar as well, so it is important to eat before and after a workout. Furthermore, if you exercise while pregnant, it is important to increase your caloric intake to compensate for the burned calories. Pregnancy is not the time to decide to lose weight or deprive yourself of food. Poor caloric intake and inadequate weight gain can be harmful to the pregnancy. As the pregnancy grows and so does your belly, certain exercises may become less comfortable. As a runner, I found running became less comfortable in my third trimester. I found indoor cycling (spin class) to give me the same cardiovascular workout but with far less discomfort. However, many runners continue running without discomfort until their delivery. Also remember that your center of gravity will shift and you will be more prone to falling if you lose your footing. So just be careful with outdoor running or exercise on uneven surfaces. And again, always make sure to be in communication with your OB about your exercise regimen. There might be a point in the pregnancy where exercise might be contraindicated and your OB may ask you to stop. But again, these situations are not common and for most women, exercise is encouraged throughout the pregnancy. There is growing data that regular exercise during the pregnancy can actually have beneficial effects for the baby’s cardiovascular system. And all the great benefits of exercise (physical and emotional) are just as wonderful during pregnancy. So be smart and enjoy your pregnancy workouts! Sheeva Talebian, M.D., F.A.C.O.G. is on staff at The Valley Hospital Fertility Center. 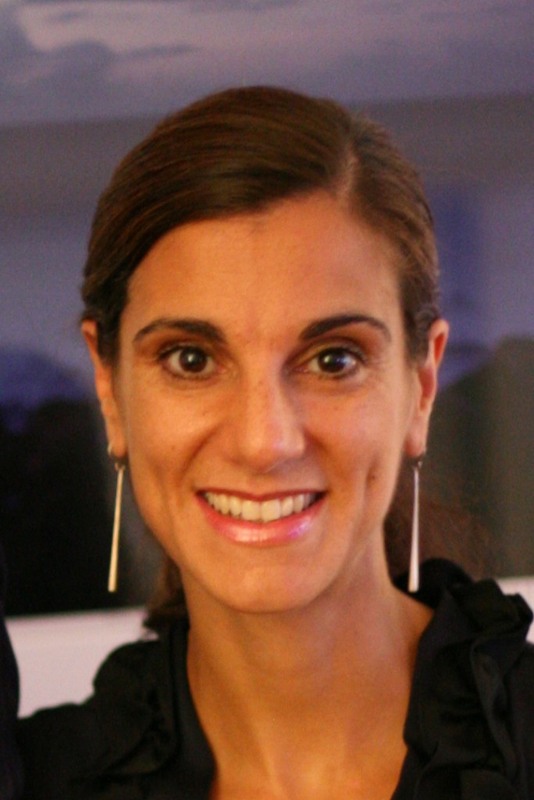 Dr. Talebian completed her undergraduate studies at Columbia University and received her medical degree from Mount Sinai School of Medicine in New York City in 2001. Dr. Talebian completed her residency in Obstetrics and Gynecology and fellowship in Reproductive Endocrinology and Infertility at the New York University School of Medicine. She is board certified in Obstetrics and Gynecology and Reproductive Endocrinology, and is a fellow of the American College of Obstetricians and Gynecologists. Dr. Talebian has two children ages 6 and 2.